Jeannette Parker, an animal-loving biologist, stopped to feed a stray cat in a rural area outside Florida’s Everglades National Park. Instead of showing appreciation, the cat bit her. Compassion for a hungry stray cat led to a nip on the finger — and also took a bite out of Jeannette Parker’s wallet. In a rural area just outside Florida’s Everglades National Park, Parker spotted the cat wandering along the road. It looked skinny, and when Parker, a biologist, offered up food, the cat bit her finger hard. “It broke my skin with his teeth,” she recalls. After cleaning off the wound, she did some research and began worrying about rabies since Miami-Dade County had warnings about that potentially fatal disease in effect at the time. She then drove back to her home in the Florida Keys and called the health department, but it was closed. So she headed to the emergency room at Mariners Hospital, not far from her house. She spent about two hours in the emergency room, got two types of injections and an antibiotic and says she never talked with a doctor. “I went home happy as a clam,” she said. Patient: Jeannette Parker, a 44-year-old state fish-and-wildlife biologist. Insured through the American Postal Workers Union because her husband works for the federal government at Everglades National Park. Medical service: Parker’s wound was examined, and she received the first in a series of rabies shots, as well as an injection of 12 milliliters of rabies immune globulin, an antibody that kick-starts the immune system to provide protection from the virus until the vaccine kicks in. What gives: When you are potentially exposed to a fatal disease, you need treatment. In the moment, it’s hard to shop around or say no to high prices. The Centers for Disease Control and Prevention estimates that post-exposure preventive treatment for rabies, which includes the immune globulin and four doses of vaccine given over a two-week period, usually costs more than $3,000 on average. An estimated 40,000 to 50,000 people annually get such treatments following exposure to potentially rabid animals, the CDC says. Each hospital can set its own prices for treatment. If you’ve had a medical-billing experience that you think we should investigate, you can share the bill and describe what happened here. In Parker’s case, the majority of the cost was for the rabies immune globulin. 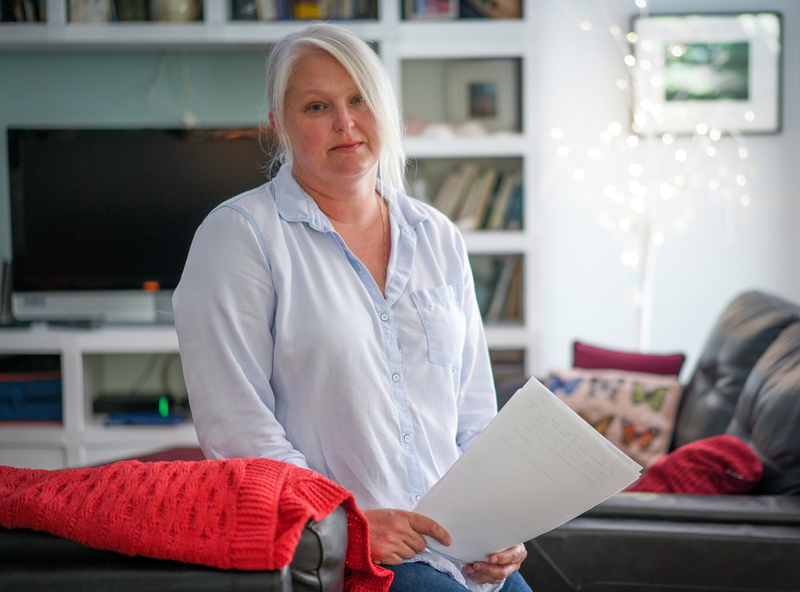 For that injection alone, the hospital billed her and her insurer $46,422. That’s well above what’s considered typical. Parker thought that seemed high after she requested and received an itemized bill from her insurer, so she Googled it. The rabies immune globulin is a complex product, made from blood plasma donated by volunteers who have been immunized against rabies. Three manufacturers make the product, and there are no shortages right now, the Food and Drug Administration says. Currently, the average wholesale acquisition price — the amount paid by wholesalers that then mark it up when they sell it to distributors or hospitals — is $361.26 per milliliter, according to Richard Evans, a drug industry analyst at SSR Health, part of the boutique investment firm SSR LLC. Using that average, the cost for the 12-milliliter dose Parker received would have been $4,335. Perhaps the hospital erred when billing, adding an extra zero? No, said Baptist Health spokeswoman Dori Robau Alvarez in an emailed statement. The $46,422 charge reflected list prices the hospital had in place on Sept. 22, 2018, when Parker was treated. Alvarez wouldn’t disclose that rate, but simple math shows the hospital was billing $7,737 per 2-milliliter dose, which is how the immune globulin is often packaged. Alvarez also noted that the month after Parker was treated, Mariners revamped its full price list, known as a “chargemaster.” The hospital lowered its charge for rabies immune globulin to $1,650 per 2 milliliters, which would have made Parker’s bill about $9,900 — still high, but not sky-high. Hospitals revisit their chargemasters periodically. But it should be noted that this particular 79 percent cut came shortly before January, when new rules required all hospitals for the first time to post those previously hidden charge lists publicly on websites, part of the Trump administration’s interpretation of the Affordable Care Act. “Statements for patients who received treatment prior to the change would reflect the previous charge,” Alvarez said. She didn’t respond to follow-up questions about the reasons for the price drop or the above-average price before the change. Chargemaster prices are generally not what people with insurance pay. One benefit of having health coverage is that insurers negotiate discounts for in-network care. Parker went to an in-network hospital. But not every service has a negotiated discount, said two experts on billing at America’s Health Insurance Plans, the industry’s trade lobby. And a discount from a very high charge remains a very large amount of money. In Parker’s case, her husband’s union health plan paid $34,618 toward her total ER bill, including $33,423 for the immune globulin alone. The health plan said it had requested an audit of the bill to check it for accuracy. In an emailed statement, the plan said not much else can be done. “Other than negotiated discounts, there is little the plan can do to challenge the hospital’s charges. The charges do not rise to the level of being fraudulent,” the statement concluded. Resolution: After accounting for the insurer’s payments, Parker had to pay $4,191 for the final $344 of her deductible for the year plus her 10 percent share of the charges accepted by her insurer. “My funeral would have been cheaper,” she said. Parker learned after calling her insurer that the cat bite should have been considered an accidental injury and thus eligible for 100 percent coverage under her insurance plan, minus her remaining deductible. She is seeking to have the hospital resubmit the bill to the health plan to see if it will pick up the rest of her 10 percent share of the cost. The hospital hasn’t offered to lower the price of the immune globulin to its current charge. The takeaway: If you suspect you may have been exposed to rabies, get treated. “It’s prudent that she sought immediate and appropriate medical care,” said Rupprecht. Many services that fall under the umbrella of public health can be obtained at no or low cost from local health departments. These range from vaccinations to post-exposure treatments for diseases like rabies. If possible, check with your health department to see if it offers treatment. But with a serious disease like rabies, if those services aren’t immediately available, don’t wait. Head to a hospital, and make sure it’s in your insurer’s network, if you have a choice. If you get a bill for what seems like an astounding amount, get the itemized bill from the hospital rather than just the summary. Moreover, now that hospital chargemasters are publicly available on hospital websites, use them. They are long and complicated. For the moment at least, they are not written in plain English. But many are alphabetical, and it’s not hard, for example, to find an entry for “Rabies IG” (rabies immune globulin). Check how the price you’ve been billed compares with others in your area. (You may also be able to check for average prices on sites like HealthcareBluebook.com.) Share that information with your employer’s human resources department, or use it to negotiate with your hospital and insurer. NPR produced and edited the interview with Kaiser Health News’ Elisabeth Rosenthal for broadcast. Nancy Klingener, the Florida Keys reporter for member station WLRN, provided audio reporting. Kaiser Health News is a nonprofit news service covering health issues. It is an editorially independent program of the Kaiser Family Foundation that isn’t affiliated with Kaiser Permanente.